Today we’re highlighting a recent application by our Spokane branch. 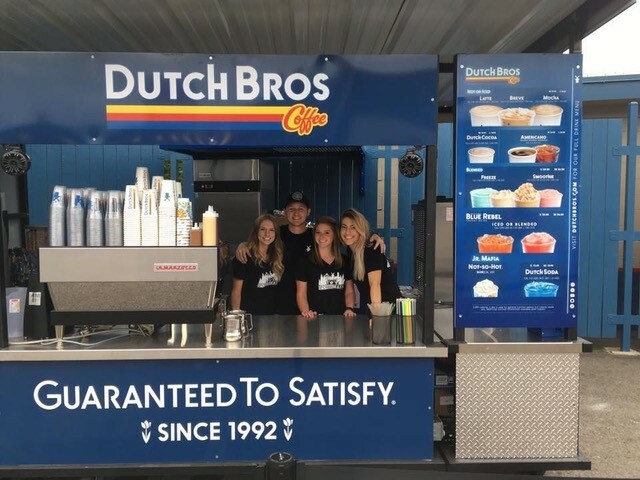 Recently we were contacted by Dutch Bros. Coffee who has a location at Avista Stadium: home of the Spokane Indians baseball team. Dutch was looking for a clear plastic to protect their storefront signs and graphics. General-purpose polycarbonate was chosen for its excellent impact strength which will prevent breakage from anything from vandalism to accidental bumps. In addition, the polycarbonate is much more forgiving with drilling than acrylic – and several screws were tapped into the sheet. The polycarbonate was 3/16″ thick for this application. The picture below shows the completed application.